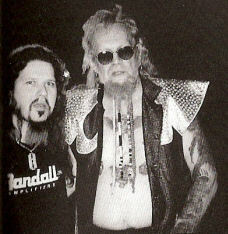 David Allan Coe & Pantera recorded Rebel Meets Rebel between 1999 and 2003; they did not release the music until May 2nd, 2006. It was almost two years after Pantera lead guitarist Darrell Lance Abbott also known as Dimebag Darrell was shot and killed on stage during a show at the Alrosa Villa in Columbus, Ohio on December 8, 2004. 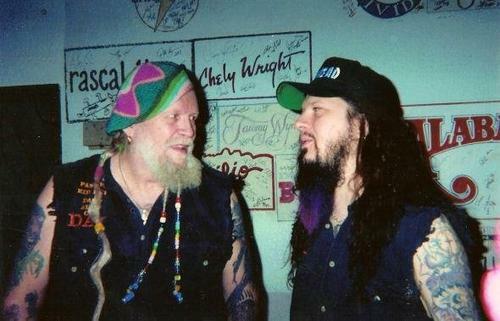 The Rebel Meets Rebel music wasn’t David Allan Coe playing speed metal, or Pantera playing outlaw country. It was real collaboration from both that different influences and had a real unique sound. Throughout time, there have been many partnerships and collaborations in music where two famous bands or artists get together and make music, but this was different. Rebel Meets Rebel took it a significant step further and impressed many fans of both David Allan Coe and metal band Pantera. Some fans liked it, and some fans didn’t. Hey, I loved it! Comment below about what you thought about the Rebel Meets Rebel music. Best album he ever did by far.